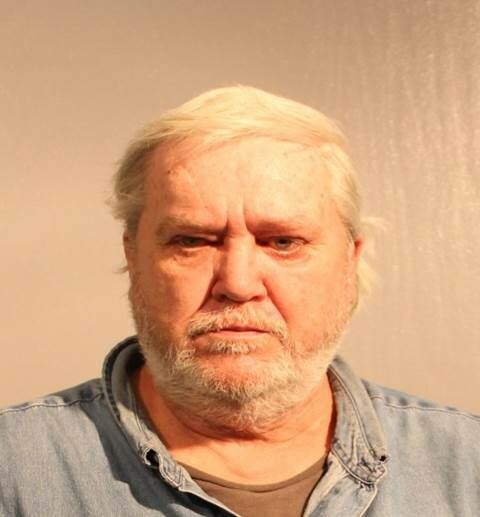 Late Friday afternoon, a Buchanan County jury found Jerry Lee Morrow, 62, of Hurley, Virginia, guilty of two counts of Distribution of a Schedule I/II Controlled Substance – 3rd or Subsequent Offense, one count of Conspiracy to Distribute Controlled Substances, Felon in Possession of a Firearm, and Felon in Possession of Ammunition. The jury would later return with a sentence recommendation of 27 years in prison and a $2000.00 fine. 29th Circuit Narcotics Task Force Investigators Billy Owens, Anthony Skeens, and Raymond Webb testified at length concerning the use of confidential informants and how, and more importantly, why informants are used to purchase narcotics. Investigators testified that on November 9, 2015, Morrow sold Morphine tablets to confidential informants, and that again on November 30, 2015, Morrow sold Morphine tablets to those same informants. Both transactions were captured using specialized audio/visual recording equipment. The officers told jurors that on December 10, 2015, informants purchased a shotgun and ammunition from Morrow at his residence in the Straight Fork section of Hurley. Again, the sale was recorded and jurors watched and listened to Morrow and others laughing about not being able to have the shotgun due to their prior felony convictions. During closing arguments, Buchanan County Commonwealth’s Attorney Gerald Arrington told jurors that he expected them to hold the Commonwealth to its burden of proof and require the government to prove its case beyond reasonable doubt. He reminded jurors that while confidential informants weren’t always the most upstanding citizens, the jury had the benefit of hearing and seeing a witness that didn’t lie, referring to the high definition videos of the drug and firearm transactions. Arrington told jurors that they did not have to leave their common sense at the door, but instead urged them to use it as they applied the evidence that they heard during the trial to the law that they were instructed by the Court to follow. After approximately 30 minutes of deliberation, jurors returned with unanimous findings of guilt as to all charges before them. During the sentencing phase, Arrington told jurors “I am not going to recommend a sentence, or a specific number to you…you are the conscience of the community” noting that they were aware of the drug problem within our community and should decide what a fair punishment should be.” After a brief deliberation, the jurors returned with a unanimous recommendation of 27 years in prison. Judge Issac Freeman, a retired judge of the 28th Judicial Circuit, presided over the trial and ordered that a pre-sentence report be prepared. Morrow’s case was set over for a final sentencing hearing on January 11, 2019.